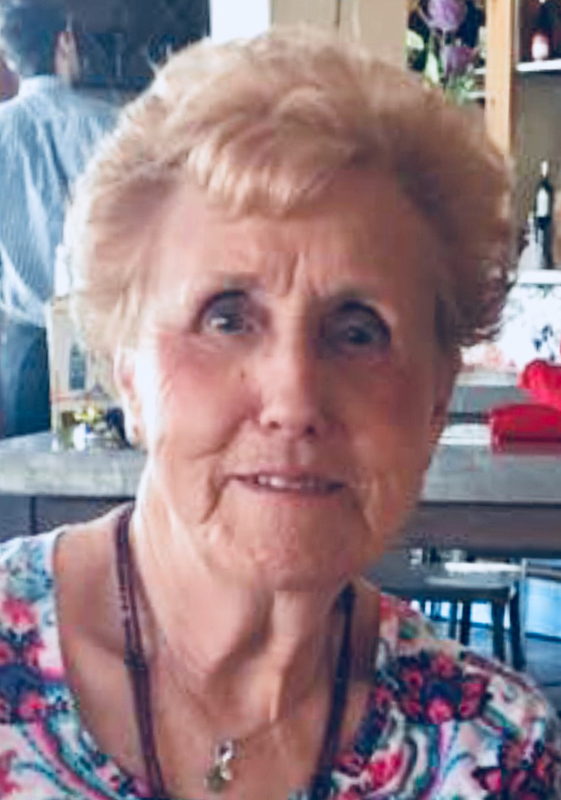 Charlotte Lea (Richardson) Anderson, 82, of Lee's Summit, MO, passed away peacefully surrounded by her family on April 8, 2019. Visitation will begin at 9:00am, followed by services at 10:00am Saturday, April 13 at the Park Lawn Chapel, Kansas City, MO. A family graveside service will be at 2:00pm Sunday at McBride Cemetery, Competition, MO. Memorial contributions may be made to Children's Mercy Hospital Rehabilitation Medicine Department. Charlotte was the youngest of eight children born to Ira and Lattius Chambers on June 10, 1936 in Competition, MO. Charlotte was an insurance agent at Haas-Wilkerson the majority of her career. She had the distinction of being the first female at the agency to receive her insurance license. Charlotte is survived by her husband of 20 years, James Anderson and daughters, Susan Rathbun and Sherri Lemos (Julian). She is fondly known as MoMo by her five grandchildren, Justin Lemos, Jacob Lemos (Natalie), Stephanie Rathbun (Anthony Freeman), Stacy Foster (TJ), and Sam Rathbun; eight great-grandchildren, Jackson, Mikhela, and Nicholas Freeman, Hanley and Hank Rathbun, Noah and Nash Lemos, and Charlotte Foster. Charlotte is also survived by her brother, Lowell Clyde Chambers (Kathleen) of McKinney, TX, and sister, Betty Dill (Alva, dec.) of Conway, MO, as well as nieces, nephews, two step-children, Sherri Ketterer (Bill) and Chris Anderson (Nancy) and their families, and other extended family members and many dear friends. Visitation will begin at 9:00am, followed by services at 10:00am Saturday, April 13 at the Park Lawn Chapel, Kansas City, MO. A family graveside service will be at 2:00pm Sunday at McBride Cemetery, Competition, MO. Memorial contributions may be made to Children’s Mercy Hospital Rehabilitation Medicine Department. Sherri, my sympathies to you and your family. I remember you spoke so highly and warmly about your mother. I’m very sorry.